Chris has just finished plastering our 3 bedrooms. We found him to be professional, thorough, tidy and his work excellent. We're very pleased with all 3 rooms. We wouldn't hesitate to use Chris again or recommend him to others. After suffering years of abuse having to look at rainbow style artexed ceiling, i contacted Chris and begged him for help (seriously) After Chris had finished i couldnt believe the difference, or how quick and clean he worked. Methodical, and a great guy. would recommend him to anyone, a job well done. Chris has plastered all the ceilings in our 3 bedroomed bungalow, as well as a bedroom wall, 2 walls in the kitchen and all the walls in the lounge and dinning room. 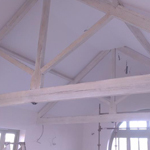 He was hard working and always did a first class job,which was always completed on time.We would highly recommend Chris to anyone needing a plasterer. 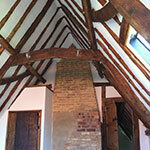 Over the past year Chris has re-plastered ceilings and walls in 3 bedrooms, staircase, kitchen and downstairs toilet. Chris was recommended to me by a friend and rightly so. He has done a 1st rate job and is both passionate and knowledgeable about his trade. 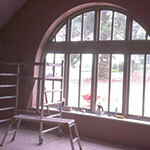 I have and would always highly recommend to Chris to other seeking a top quality plasterer. Chris has just finished a very tricky plastering job for us - his work has been excellent, and he has overcome a number of difficult issues with the room to be plastered, using a problem-solving attitude, and a sympathetic approach to the property (Grade II listed). Chris works hard, and the quality of his work is excellent. We recommend him highly. Chris and his team have completely re-plastered our public house in hockwold including 3 bedrooms, bathroom, hall way & stairs, living room and kitchen and then moving on through the whole pub including cellar. 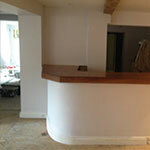 We have found Chris to be very reliable and trustworthy and recommend to anyone who enquires about a plasterer. Further more we would not hesitate to use him again! We had Chris to plaster in one of our bedrooms and also our garage walls and ceiling. He was professional and tidy and kept us informed of progress. We would be very confident in recommending his work to anyone else. Chris, was called at short notice to plaster our hall way after a leaking roof. We are very pleased with the work done to perfection. Chris certainly turned our nightmare into a dream. Would highly recommend. We have used Chris for all of our plastering in our house renovation. He so far has plastered our three bedrooms, main bathroom, lounge (12m x 4m) and downstairs toilet. We found he was enthusiastic, hard working, time efficient, and works to high standards. We were, and are very happy with his work and am due to use him again for our en-suite and hall, stairs and landing this year.